How can I get Speed Dial back? Hello, I have problem, namely what can I do to get it back? What can I change and where is it? I hope you'll help me. I ended up with a the same generic list of links as my speed dial page too as of yesterday. 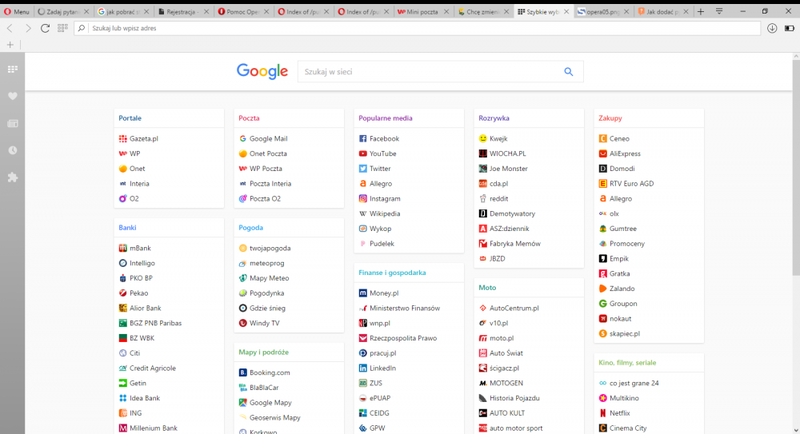 Not sure if it was changed as part of some update or what.. but as I was going to check what version I was running, Opera downloaded an update and once I relaunched the browser I had my tiled speed dial layout back. So not knowing really what that was all about, I'd advise you to at least check for updates.